A long time ago in a place that seems far away. I was a little girl. I used to sit at the table until I was done eating dinner. That was before parents knew better or maybe they knew more than we do now. I was forced to eat whatever was brought to my plate. I hated most everything until meatloaf entered my life. I guess that is why I have so many easy meatloaf recipes on my site. I love this apricot meatloaf recipe because it pairs the sweet with the savory. 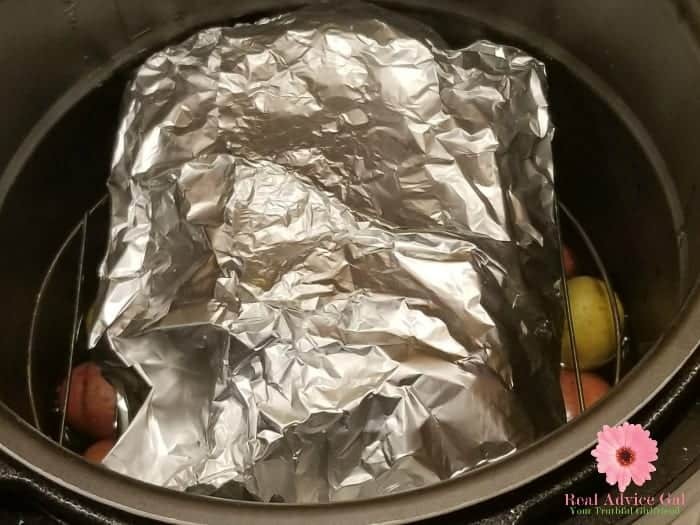 It is an incredible way to get kids like me big or small to eat a great meal without bribery, so I had to make a pressure cooker version of it. 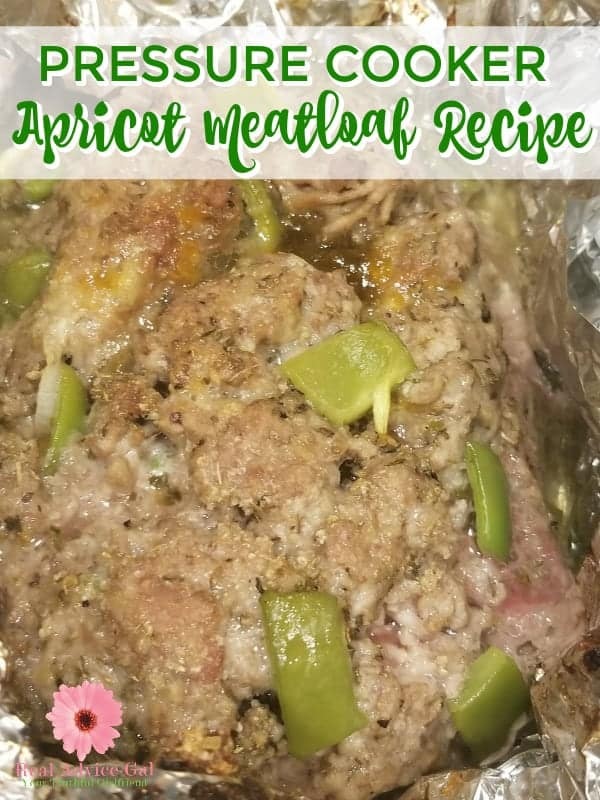 This Apricot Meatloaf Pressure Cooker Recipe is a winner! 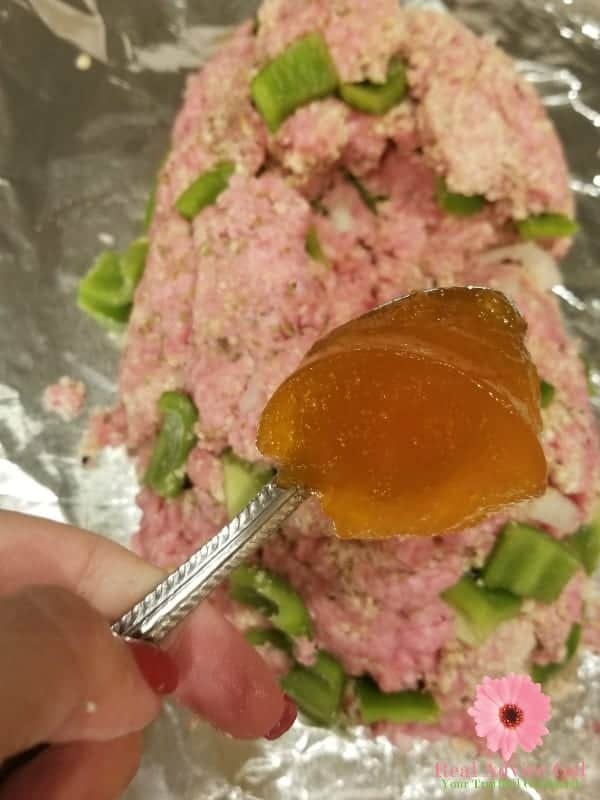 1 cup of water if you are cooking the meatloaf without the potatoes. If you plan to do potatoes at the bottom of your pressure cooker then I would do 1 cup of beef or veggie broth and potatoes. and place the steamer on top of the rack. In a bowl mix together the eggs, milk, breadcrumbs and onion soup mix. Then add meat and onions and peppers. Mix all thoroughly. Then make the mixture into a boat shape and fill it with the jam. Then I attach the sides to the top. I always reserve a little of the jam to glaze the loaf 15 minutes prior to serving! 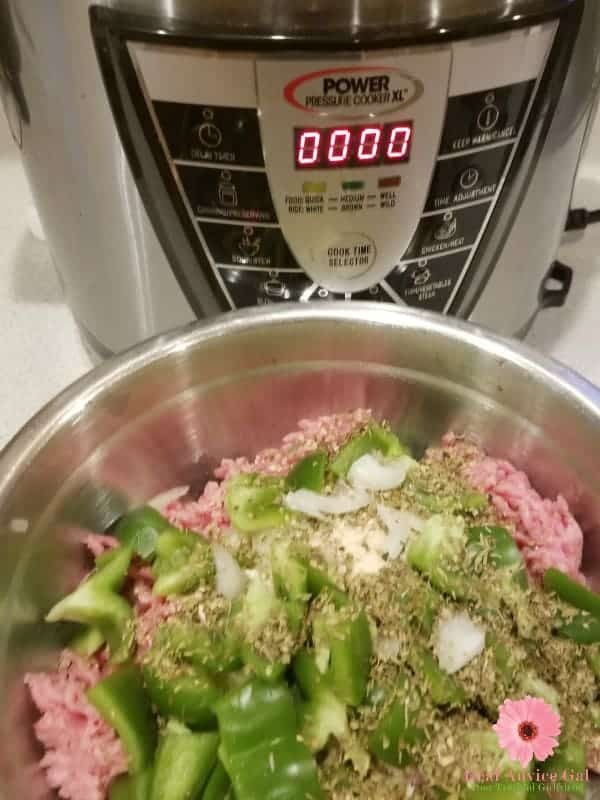 You want to make your meatloaf so it fits in your pressure cooker it will be circular. You want to leave an inch around the sides of the easy apricot meatloaf recipe. 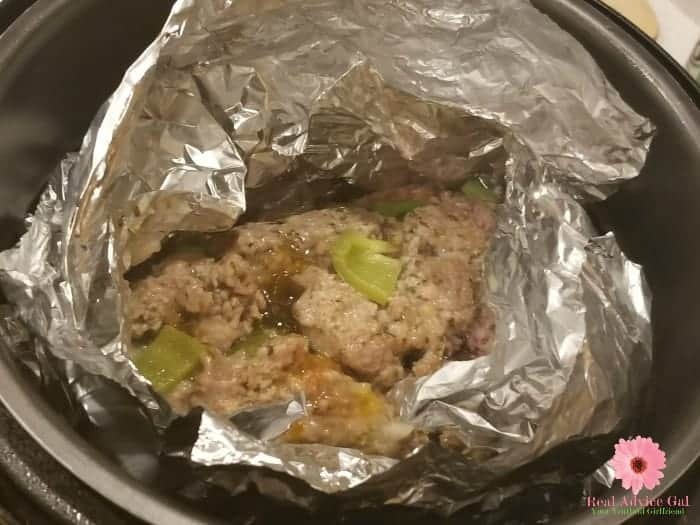 On the top of a piece of non-stick foil form the meat mixture into a oblong shape that will fit inside your Pressure Cooker. 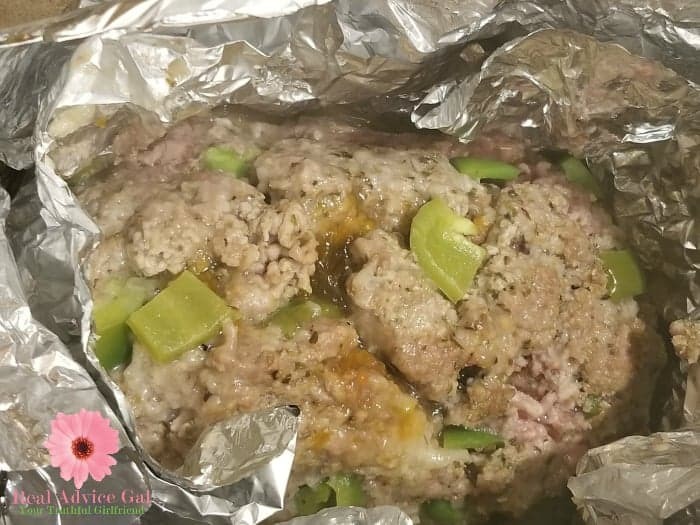 Carefully transfer the foil and the meatloaf on top of the silicon sling. Pour a cup of water into the pressure cooker. Then in the pressure cooker put the trivet down. You can put potatoes or veggies under the trivet if you wish. Then put the sling and the Pressure cooker meatloaf in your machine. Lock the lid. Set the pressure cooker for 35 minutes. When the pressure cooker goes off release the steam. You will need to use your mitts to take off the top. Then use the thermometer and make sure the meatloaf is cooked if it isn’t then put it in for 5 more minutes. You will need to put another cup of water in the bottom of the pressure cooker. If the meatloaf needs more time. (I often put more jam on the top to glaze it and put the meatloaf in the oven on broil for 5 minutes. 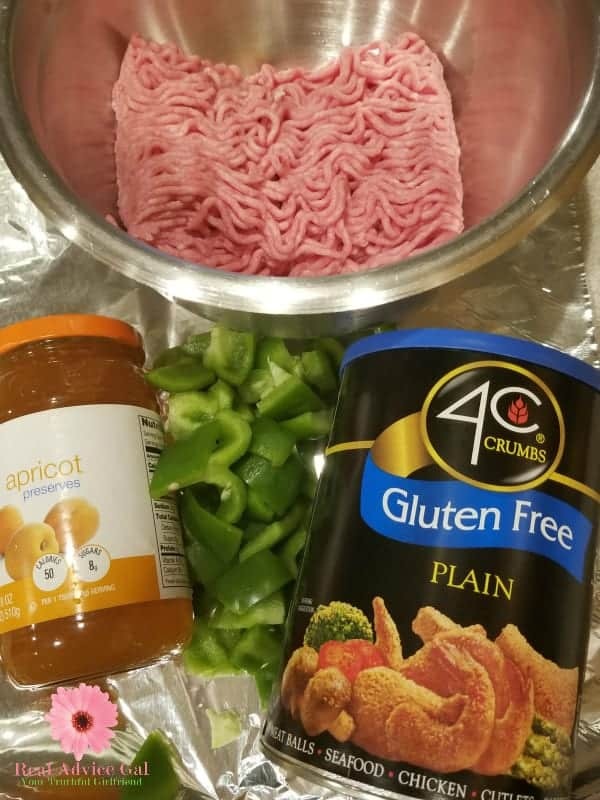 These are the instructions if you want to make this easy apricot meatloaf in the crockpot. 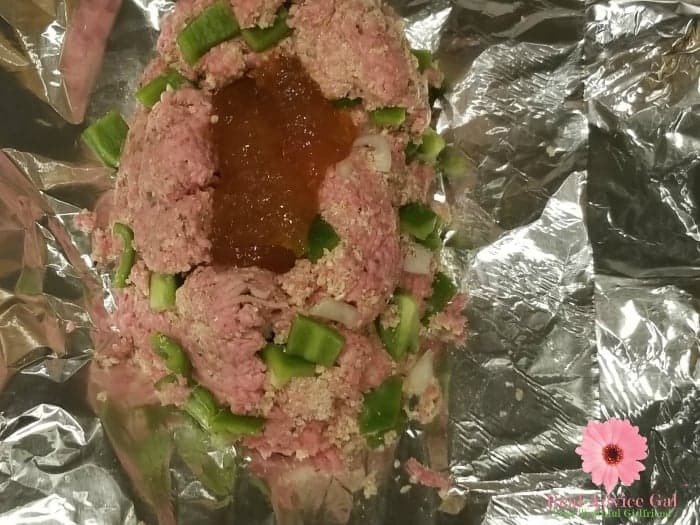 Oh, if you like meatloaf recipes. You will love these. In a bowl mix together the Eggs…Milk…Dry Crumbs…and Onion Soup Mix. 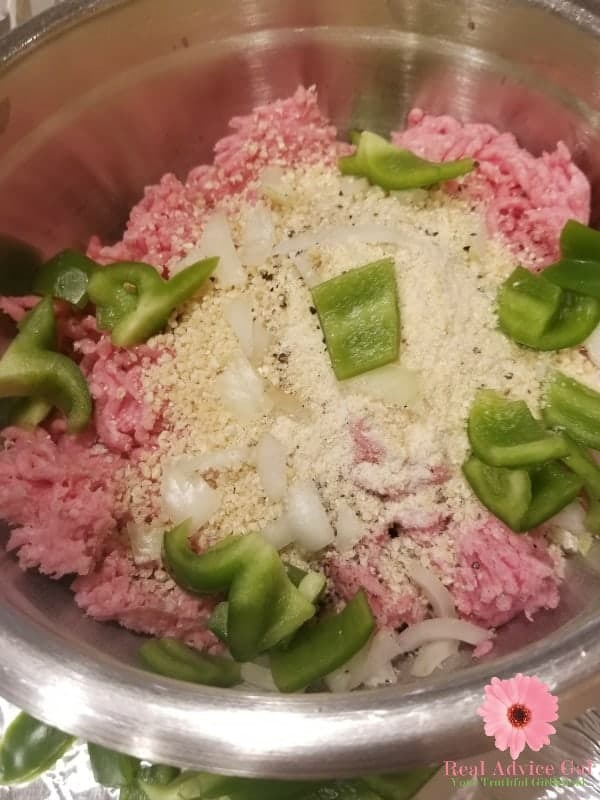 Then add meat and Onions and Peppers… mix all thoroughly. Then attach the sides to the top. I always reserve a little of the jam to glaze the loaf 15 minutes prior to serving! Set the pressure cooker for 35 minutes. You will need to use your mits to take off the top. Then use the thermometer and make sure the meatloaf is cooked if it isn't then put it in for 5 more minutes. You will need to put another cup of water in the bottom of the pressure cooker. If the meatloaf needs more time. (I often put more jame on the top to glaze it and put the meatloaf in the oven on broil for 5 minutes.